This tablet PC is packing plenty of widely-appreciated features for you to fully enjoy the entertainment and office experience. 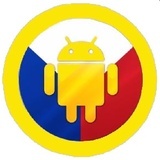 Superbly user-friendly Android 4.0.3 OS to provide you with a fast and slick user-experience. Packed with a blazingly fast A10+Mali400 processor. DDR III 1G and 16GB flash gives you plenty of space for movies, music, e-books and all of your other files and documents. A TF card slot that is up to 32GB is for expending the capacity. It also allows you to wirelessly access the Internet through a hi-speed networking support and includes lots of built-in applications. Browse the web wirelessly or enjoy media on a sleek and stylish media device. 9.7-inch touch screen with resolution of 1024?768 lets you enjoy more exciting visual experience. There is still camera, G-sensor, wifi available in this tablet PC. Get ready for the future with this thin, light and powerful device is really a great delight!